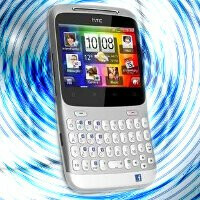 For some, the HTC ChaCha’s included 600MHz processor might be perceived to be more than sufficient for the handset itself – especially when it’s mainly Facebook focused. However, the handset is seeing some love ahead of its impending release date as it’s being graced now with an 800MHz CPU. When it was first unveiled, the handset was featured with a 600MHz Qualcomm MSM7227 processor with 512MB ROM/RAM. Taking a closer look at the handset’s page on HTC’s official web site, one can clearly see that it’s mentioned to be packing a better processor clocked in at 800MHz. Whichever way you look at the special surprise, it’s still going to benefit future handset owners no matter what. Naturally, the additional 200MHz in speed should undoubtedly give the handset some much-needed processing power – thus, hopefully making the overall experience even more responsive.